Welcome to Medical Cannabis Resource Center (MERCY), Grow Tips Info on Seeds. Mercy Center > GroTipz > Info > Top 4 Picks to Buy Affordable Outdoor Cannabis Seeds in 2014 >> Learn more >> You may comment on the info here, or give us feed back, here. Growing cannabis seeds outside also means dealing with many adverse conditions. Right from the climate that is not in your control to neighbors that are always nosy to find out what you are up to, you have to deal with so many things. Rising prices of cannabis seeds further add to the misery. A big investment right at the beginning of cannabis growing is not feasible with all types of grower. The ones who are just starting their cannabis business are troubled in particular. They are always on the lookout for sources that can get them high quality weed seeds at reasonable prices. Even though there aren’t many physical and online seed banks that maintain high quality instead of reasonable price tags, suppliers like Weed Seed Shop are definitely worth giving a look and seriously considering. They are known for their reasonable pricing and high yielding strains that they offer. With reliable sources like this you can hope to buy affordable outdoor cannabis seeds without sacrificing on quality. Mentioned below are our top 4 picks of affordable cannabis strains. 1. Afghan Outdoor Seeds: This strain is easily one of the all time best genetics that is today used as a platform for other new strains. The short plant is Indica dominant. The buds are dark and compact. Its plants produce a lot of resin that spread throughout the buds and huge leaves. 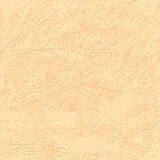 Thanks to its high THC level of 15%-20%, the smoke that it offers is thick and heavy. The one medicating on it feels a deep and heavy all body stone with a lasting cerebral buzz. These strains can be bought for just € 15. 2. Early Bud Seeds: This Indica dominant strain grows excellently well outdoors and promises high yield giving the commercial growers exactly what they want. The perfect climate for them to grow is short summer. That said, indoor growers love this strain equally as they need very little space for cultivation purposes. Medicating on Early Bud is a pleasant experience all throughout, thanks to its smooth smoke and a very strong body high. Whenever these buds are grown under colder conditions you can see different colors on the leaves such as lavender, deep purple and even red. The growers can buy these strains for just € 25 from the online stores. 3. 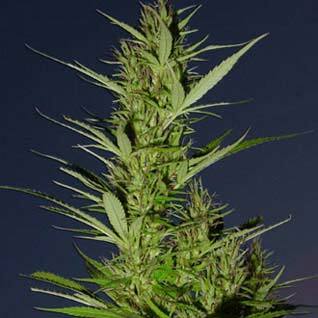 Swazi x Skunk Seeds: The sativa dominant strain gives a tall and a very thin plant. We know that all sativa strains are known for their cerebral high but Swazi is preferred by the smokers for its sweet taste. For just € 20 growers can buy a bunch of these strains online. 4. Durban Poison Seeds: Coming from Africa, these strains are a cross of potent Dutch Skunk. These are easily one of the best strains for growing in hotter outdoor climates and give dense and solid buds. Even the most novice growers can start their business with Durban Poison as these seeds are known for growing even under adverse conditions. The strains can be easily bought online for just € 25. SOURCE: article courtesy of Anon y' Mouse. Got article? Let Us Know!